The Natty Nittany: John, Hetzel St.
Saturday was, of course, State Patty's Day. I didn't expect to see someone worthy of Natty Nittany status, but then I ran into John outside of Sharkies Bar and Thrifty Bottle Shop on Hetzel Street. The fashion photography gods had given me a State Patty's Day blessing. Though I did not have my good camera with me, you shouldn't need too sharp of an image to see why I had to snap Jon's picture. John did State Patty's in a big way and I respect him for that. It's not only that he's got the green going on, and that he did it in a way much more fashionable than the typical t-shirt, but that his jacket was actually a decent fit! Too often I see people with blazers two sizes too big for them and poorly tailored suit jackets (or worse-- not tailored at all!). Oh, and a little side note courtesy of John's female accompaniment. When I told them who I was and asked to take John's picture, the girl enthusiastically informed that John's clothes were indeed, "all high end stuff!" TONIGHT! There will be a special presentation presented by the PSU chapter of the NAACP. 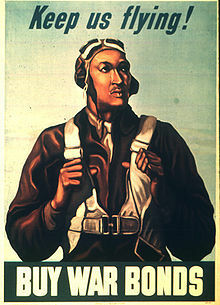 “Keep ‘em Flying: Honoring the Tuskegee Airmen” is a celebration of the first black airmen. Tuskegee airmen themselves will be telling some really incredible stories about their experiences. These men had to overcome unbelievable discrimination and racism in America and in the army, but they still flew with distinction. Tonight’s function will also feature performances by Essence of Joy, Spoken Word and Poetry, and the Delta Theta Chapter of Kappa Alpha Psi Fraternity, Inc. along with a catered dinner, photo opportunities, and live music. The event takes place at 4pm TONIGHT in Alumni Hall in the HUB. Tickets are $8.00 for students and $15.00 for the general admission, which is a pretty great deal to be able to see such illustrious, brave men talk. As you may know, the 36th annual Movin' On is happening on April 17. As you may not know, the musical festival has a rich history starting in the yonder year of 1974. Back in the day, the East Halls Residence Association held a primordial Movin' On at the fields by Beaver Stadium, where students jammed to area bands and watched W.C. Fields and Marx Brothers movies. The event was then called "Good Feelings '74," a name which I definitely dig. In 1975, the event's organizers joined the Association of Residence Hall Students (ARHS) and tremendously expanded the festival. Each day of the week, a different group of dorms presented a day of activities, collectively known as "Penn State's Greatest Week of Entertainment." The week culminated in the epic day-long Movin' On concert (for the record, the phrase "Movin' On" acknowledges the seniors who are "movin' on" after graduation). Eventually the week-long event evolved into a two-day audio extravaganza. The organizers extended Movin' On to a two-day concert in 1976. A local radio station played a live broadcast of the acts, and Movin' On raised money for the Volunteer Service Center for the second year in a row. Orleans played in '77; Gregg Allman played in '78. Again, Movin' On outlives The Spill Canvas and The White Tie Affair. Check out the Facebook event, and get ready to "move on" this April. Valley of Shadows, the local Live Action Roleplaying (LARP) group, is not responsible for the sudden apparition of feral cats in the area. Though they do don the guises of werewolves, changelings, and other paranormal beings, we must be mistaking them for the "real" creatures who dropped the feline plague upon us. LARP is actually somewhat similar to Dungeons and Dragons, where each player creates a character that interacts with all the other characters created by the other players. It's not a free-for-all, either; Valley of Shadows, and the characters that make it up, actually participates in a series of established games with set rules, which are all part of the larger World of Darkness universe where all the games are set. Find out more details about State College's LARPing community after the jump. State Patty's Day is almost here. The State College community and people all over, are wondering how this year's celebration will turn out. What do you think of State Patty's Day? Is it time for it to go, or is the bacchanal here to stay? 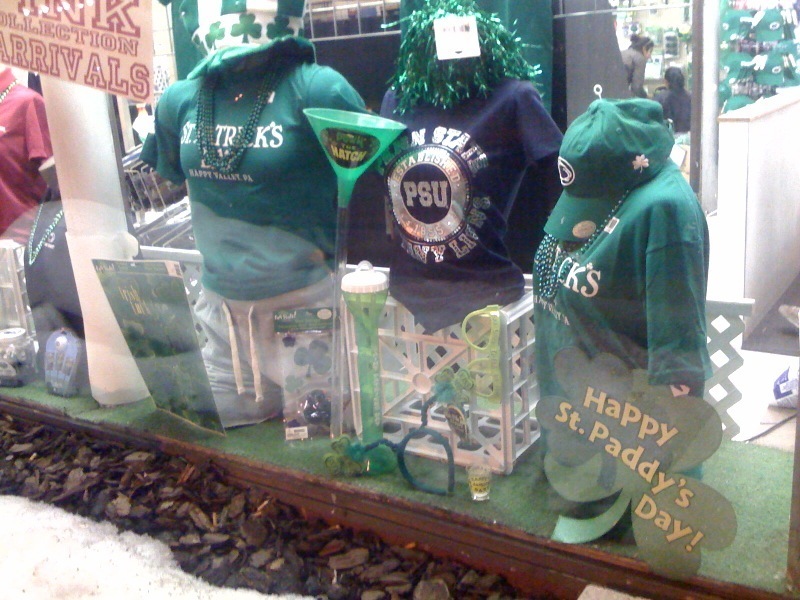 The now infamous State Patty's day is upon us, and people are flooding the stores downtown that did not agree to pull all State Patty's merchandise. This has nothing to do with fashion, but in my opinion, long live State Patty's Day and let college kids have their fun! </br? To the administrators opposing it: think back to when you were in college. Did you want people raining on your parade? Of course not. No one gave you trouble about sneaking into Beaver Stadium after the National Championship and carrying a goal post across College Ave.! But I'm really here to talk about State Patty's Day fashion. The holiday has a lot to do with what people are wearing. Shops downtown have a bunch of different types of clothing with a few standard phrases, like the classic "Kiss Me I'm Drunk." My advice is to go all out! Wear the best of the best printed tees from People's Nation and get to McLanahan's before it's too late to get your green shotglass necklace. The more green this Saturday, the better. Rock your green to show your passion for our famous Saturday in late February/early March. From socks to hats, wear that green. Last year I wore the traditional green PSU shirt, but I'm hoping people to get more creative this year. My choice this year was a shirt from the Phyrst that's on display at Ernie's Steaks (If you have green slacks, please wear them. The goal is to stand out. But not too much because of the increased police enforcement). Long live State Patty's and going overboard with green.